My mum lost a hat I’d made a few years ago (you can see it here) on a train in Italy at some point, so I made her a replacement for Christmas. Luckily I had some yarn left over! 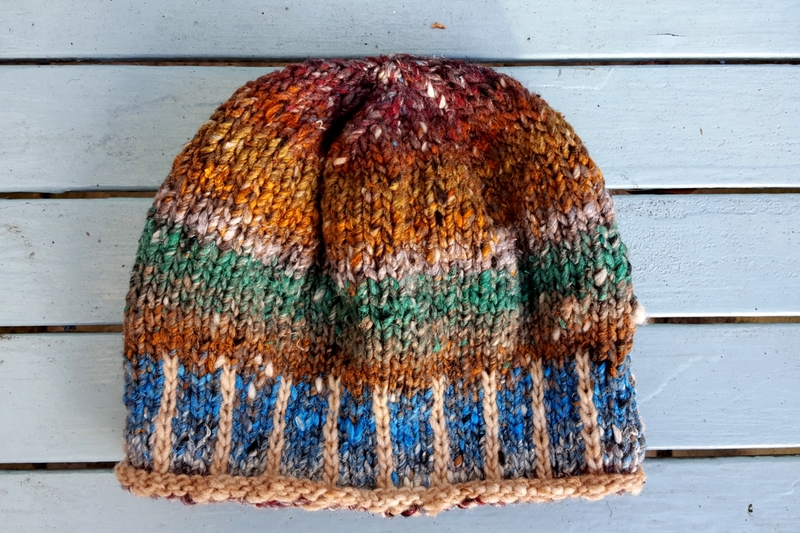 It’s long-discontinued Noro Kogarashi yarn. The old hat was a bit greener and greyer and reminded me of the trolls in Frozen. This one is a bit more like a kingfisher, which I think is an improvement.